These three newborn Malayan tigers are a rare sight to see – and a cute one at that. 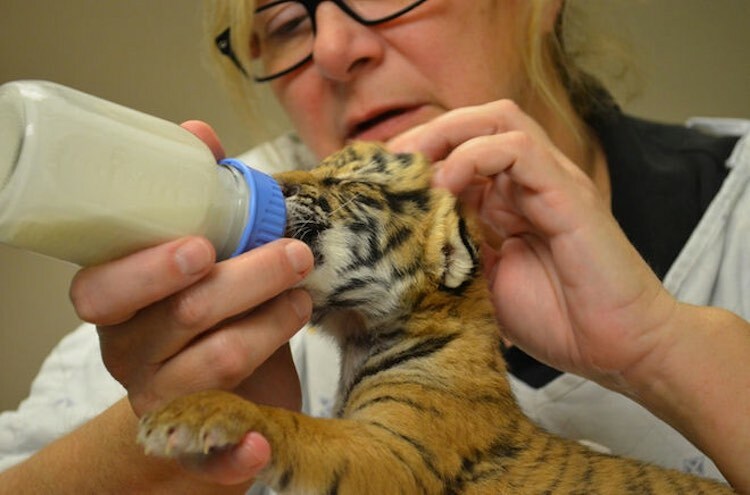 The big cat triplets were born to Cinta, a 3-year-old first time mom at the Cincinnati Zoo. Since Cinta’s maternal instincts didn’t quite kick in in time, veterinary staff stepped in and made sure the cubs were well-fed. There are less than 500 Malayan tigers left in the world, making the birth a special occasion indeed. Though Cinta probably now won’t recognize her cubs, the triplets will be kept together as their own family in the coming years.